Our aim is to reach out to the globe within shortest possible time frame. 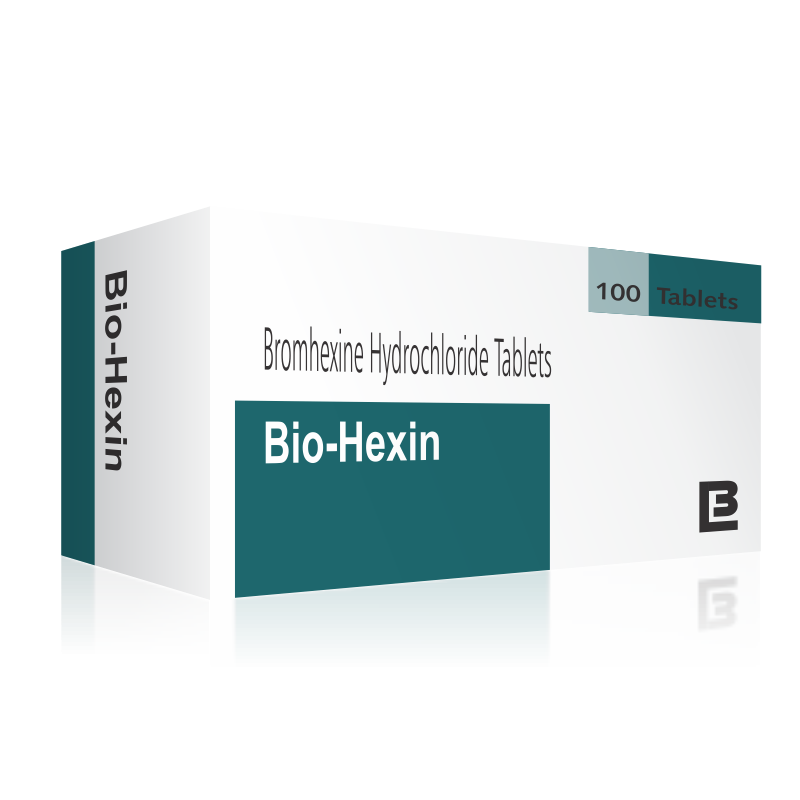 To promote this objective, not only we distribute and market our respiratory range of products globally through our distribution channels but we also undertake ‘contract manufacturing’& ‘formulation development ’of our wide range of generic products such as Bio-Hexin which contains Bromhexine hydrochloride B.P 8 mg.
Bromhexine is a mucolytic agent which acts on the mucus at the formative stages in the glands, within the mucus secreting cells. Bromhexine disrupts the structure of acid mucopolysaccharide fibres in mucoid sputum and produces less viscous mucus, which is easier to expectorate. Bromhexine is a mucolytic used in the treatment of respiratory disorders associated with productive cough. Hypersensitivity to bromhexine or any other ingredient of this product.